Ruth’s Chris Steak House is a fine-dining restaurant franchise, and for many on the island, it’s for special occasions only due to its beefy prices. Just come in to dine at either Ruth’s in The Shops at Wailea or in the Outlets of Maui in Lahaina. The spring promo features a salad, tender and juicy filet mignon paired with plump shrimp, and an accompaniment such as au gratin potatoes. The price is $45.95 per person. Discerning steak house regulars know that this is a fantastic fine-dining deal, costing less than even than the bi-annual Restaurant Week Wailea promo. 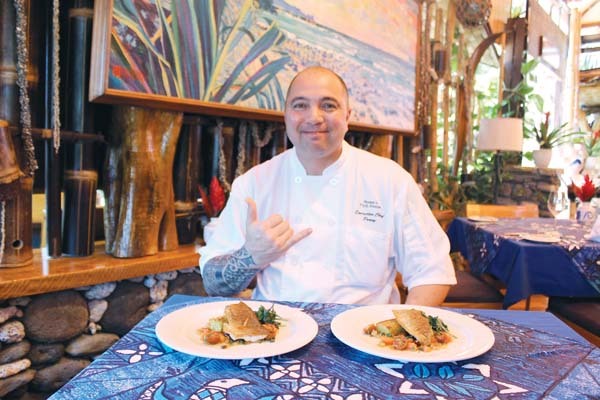 Plus, you may dine anytime from 5 to 10 p.m.
Ruth’s Chris Wailea Executive Chef Dan Bader agrees. 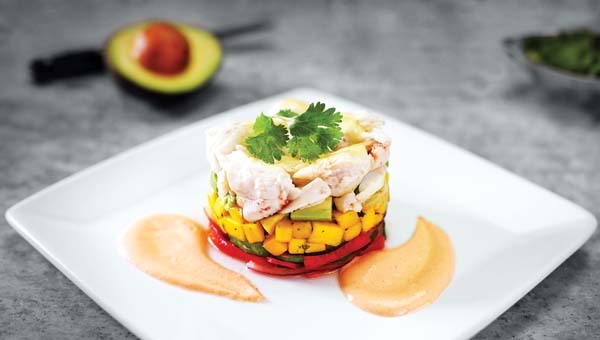 Cool crab stack appetizer has blue lump crab morsels set on fresh avocado and mango. 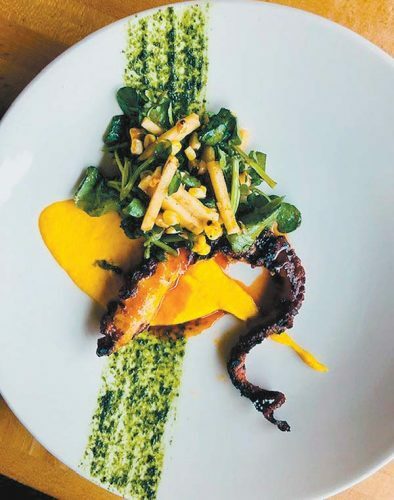 “This price point gives a lot of people a chance to experience our restaurant, which was renovated beautifully last year,” says Bader, who also does the Prime Time sunset menu from 5 to 6 p.m. nightly. That’s also a good deal at $54.95, when you’re talking in terms of the creme de la creme of fine-dining institutions. In the Outlets of Maui Mall, Ruth’s Chris Lahaina Executive Chef Seville Jackson is presenting the same menus. 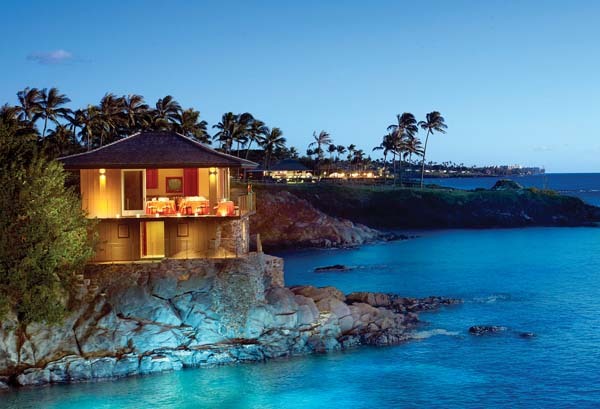 Back to Wailea, with the influx of capital from the corporate office, the restaurant had a nice face-lift last fall. Besides the kitchen and other areas that you don’t see, the bar and lounge really pop. Yes, Ruth’s keeps raising the bar. 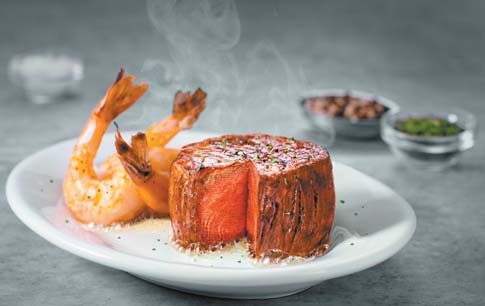 A juicy filet mignon is cooked to perfect doneness and paired with plump shrimp. You may even savor the Prime Time or the Spring Surf & Turf in the lounge and also keep an eye on your favorite sporting events on TV. This week, Spencer will debut a new wine program with discounted wines by the glass to draw more budget-minded diners into the door. Both locations still do Wine Wednesdays at 25 percent off select bottles. Kamaaina discount nights are Sundays and Mondays with 15 percent off food. This deal does not pair with other promos. 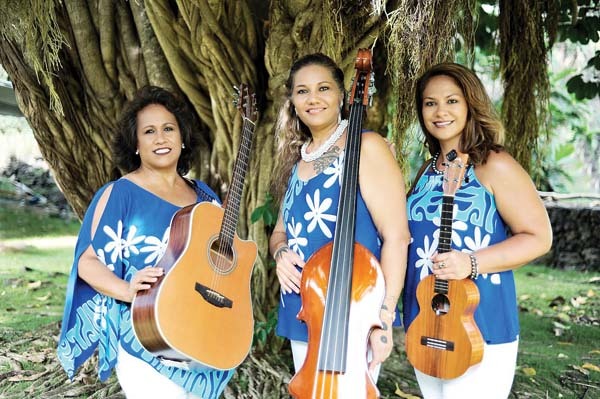 The Belle Glos Tastemaker Dinners will be uncorked April 4 in Lahaina and April 6 in Wailea (another sold-out dinner will be held earlier). 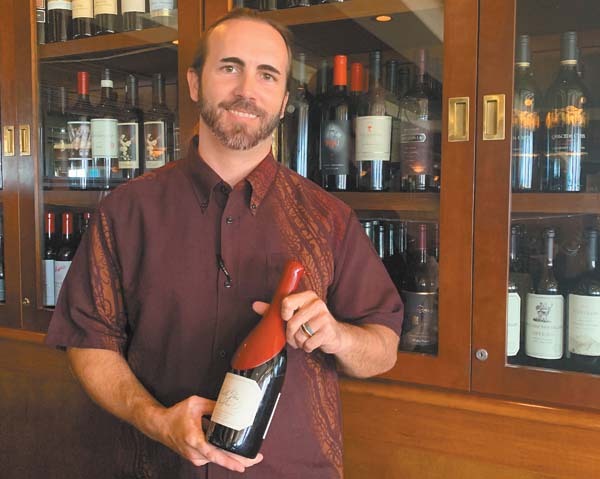 “The Belle Glos dinners will feature five courses with wines,” says new Ruth’s Chris Lahaina GM Brandon Deatherage, who brings 20 years of experience to the table, most recently from Longhi’s. 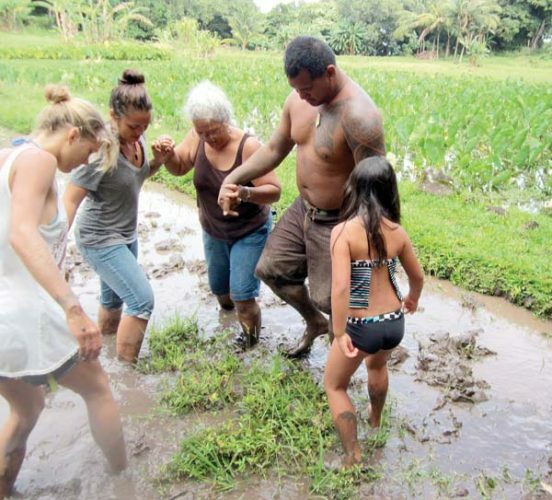 • Hours: Both Maui locations are open daily. Wailea’s lounge jumps from 4 p.m. to 7 p.m. Lahaina happy hour is 5 to 7 p.m. Dinner is served from 5 to 10 p.m. daily at both Maui locations. 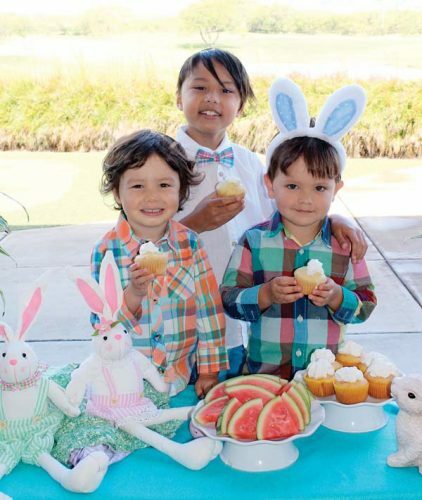 • Promos: The Spring Surf & Turf Dinner includes salad, filet mignon, shrimp and accompaniment. Cost is $45.95 per person, plus tax and tip. Belle Glos wine dinners are coming in April for $115 per person.